This picture was taken on Sunday. 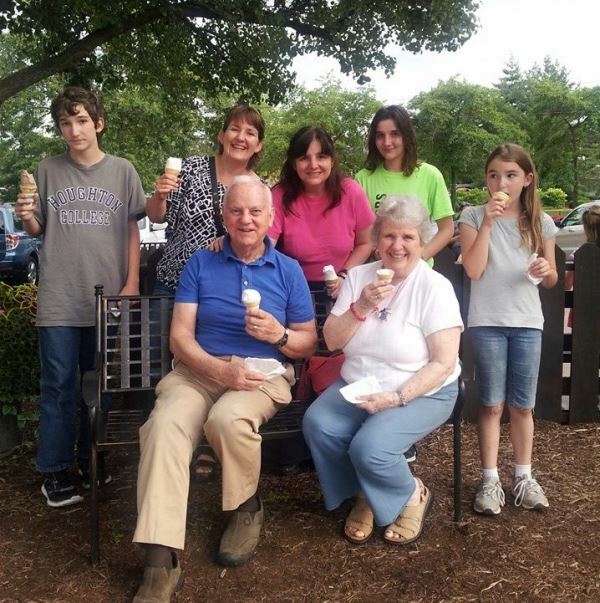 We were celebrating my parents’ 63rd wedding anniversary with some St. Louis Frozen Custard. As we prepare to celebrate our Independence Day, it may seem hard to maintain our optimism when we consider how much of our independence we have given away. You may ask, “How have we have given it away?” By giving the power to govern to the Supreme Court, and by giving so much power to the national government, and by giving away jurisdiction over education to state and federal governments. Yet there are some reasons for optimism. Can good come out of bad? YES! Many of you may be wondering about how we can understand the impact of the latest opinions of the US Supreme Court. Here are some positive lessons that have emerged from the US Supreme Court OPINION on marriage. Some of the efforts of the homosexuals were aimed at passing laws that will allow them to feel better. They will find out that no man-made law can replace natural laws or God’s laws. Those who worked so hard to seek legal affirmation will find that their consciences still feel guilty. Just like the Dred Scott decision, history will prove that the US Supreme Court is wrong again. The five justices who crafted the majority opinion cost the court a lot of credibility and turned the court into a legislative body without an election by the people. In many Archdioceses across the country, I’m very thankful for Bishops and priests. I wish we knew how many protestant pastors made a statement on the wrongness of homosexuality from their pulpits Sunday morning. Let me know if your pastor guided your church in the correct understanding of this Supreme Court decision. If he was a faithful shepherd, name names. These pastors deserve our applause. The American churches would have had a whole lot more credibility in their stance against homosexuality if they had not softened the Biblical stance on divorce, re-marriage, fornication, or adultery. God has a plan. He is not surprised by our Supreme Court. We will stay the course and see what He does next. 1.) If your pastor made a statement from the pulpit on Sunday, write him a thank you note, call him or find a way to pat him on the back for protecting the flock, for guiding the parishioners and for being a true and faithful steward. These brave pastors need encouragement, especially to counteract other comments they may get from those trying to sway public opinion. If your pastor didn’t mention it, you need to ask him why. You might learn something about your pastor that will help you understand what he values. If he doesn’t agree with the Biblical position on marriage and perversion, you need to find another church. 2.) Watch the video of the talk I gave in Pittsburgh. Hopefully, you will find some humor and context to help you explain your philosophy to those around around you. The homosexual rainbow symbol has six colors in it. 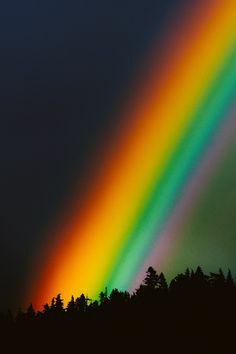 The real rainbow has seven colors.